You hear this claim all the time – but is it true ? By 2030 third generation, that work faster than realtime, and can therefore can simulate scenarios, and choose what is right, in real time. Fourth generation will be in 2040 and will be self programming robots, writing their own code, in a language they themself have invented. The time frame it seems is hooked up on computer power 3000 MIPS in 2010 up to 3.000.000 MIPS in 2040. So what is wrong with the above assumption ? technology does not progress linearly. The processor power has close to nothing to do with the robot development – if so you could have build a super robot in 1998 that was just super slow. today in 2017 you can achieve 300.000Mips from a single intel i7. Even today researchers and scientists make the same mistake, the other day i saw an article “30% of all jobs in Denmark – gone in 20 years, will be done by robots”. WHAT… are you kidding me? could they replace a taxi driver -yes. could they replace a truck, doing cross country transport -yes. But could they replace the jobs of the dudes and dudettes loading stuff into the truck, not in 20 years. but why not? -The short answer is to many different tasks involved, int to many different environments. what steps do we then require to get funktional robots for the masses ? I dont know, the fact is that i dont think anyone will know because it would be like asking how we could bring theater to the masses in 1850… the answer would be – lts mass produce actress, and mobile theaters – I estimate this will be ready by 1950…. what you did not expect TV coming ? 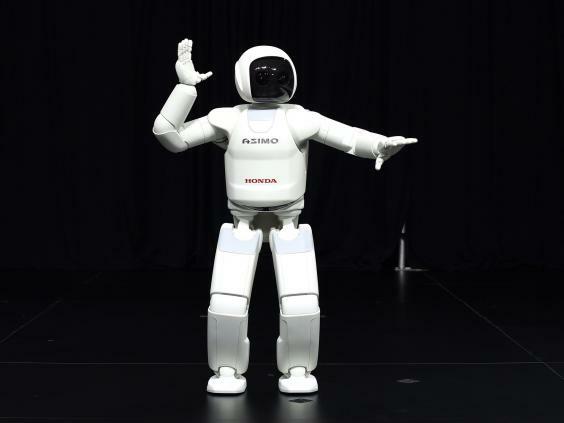 Two ways of reaching the goal of robot technology for future homes. if we talk about a linear development of household robots, I dont see it happening in the next 50 years. – why look at robot development from the first robotic arm for car manufacturing in 1954 to today. There is really not a huge difference , it is still fixated to a production line, it still only have movements pre specified and if you get in its way it will still try to weld you to the carbody. So extrapolating on this data we will never get a maid robot. Even if you look at DARPA the “wildcat” in 2016 set a record running at 32 km/h – the old record from 1989 was 21 km/h. And it still dont do anything, it cant open a door, and it will most certainly not do your dishes. – It can’t even kill you… well ok its weight is 154 kg, so if it sat on you it could. Non linear development – you cant really tell can you ? … well yes and no – you can’t predict disruptions – but i’m pretty sure better battery life will come. Battery Life a 100 fold what we expected if you extrapolate from today’s data. – but how? … it could be many things, perhaps a new alloy in the battery, perhaps a new type of motor that used a lot less power. Or even better not a motor, but a muscle type of actuator. I can say that there are many issues to be resolved before you will get a household robot, here are a few, and until all of these are checked off no one can predict a time frame. These are just a few obvious and they consist of sub problems in the thousands. But wait… what if im sitting in 1850 and trying to predict how all could see a theater play ? Would your boss replace you by AI ?